My good friend visited Kenya a few years ago, and when I asked her to tell me all about it, before anything else, she grinned and replied "you'll have to see it for yourself." After six hours of driving over the uneven dirt roads of the Great Rift Valley, my team and I arrived in Muhuru Bay, Kenya, in the dark of night. Our van pulled into a tiny compound with three mud huts on the shore of Lake Victoria. 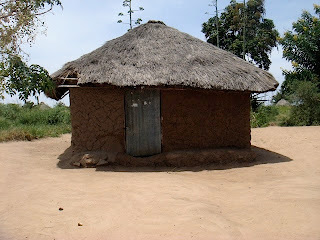 Sleepily, I grabbed my suitcase and headed into my designated hut. I turned on the light, which was but a small, dim bulb at the apex of the triangular straw ceiling, and watched in horror as a carpet of insects scattered towards the walls. Shooting towards me was a creature several inches in length that closely resembled a white scorpion (though I still don’t know what it was). I screamed, my husband raced in, shouted, “Oh my God!”, and attempted to squash the Godzilla bug with a broom. 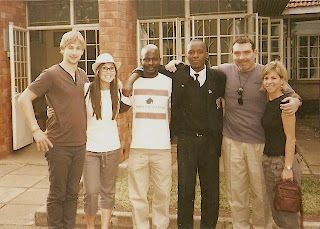 This was my first experience in the Eastern African Bush. After finally settling in that night, I was destined for one week of plastic bag showers, second degree sunburns, and toilet troubles. However, I can confidently say it was all worth it. My trip to Muhuru Bay truly changed my life. I traveled to Kenya with eight family members and family friends to volunteer at Mama Maria, a fledgling clinic in Muhuru Bay. On our second day in the village, we were unexpectedly invited to a funeral. Despite our protests, we were seated as guests of honor and watched as family members of the deceased mourned by openly wailing. 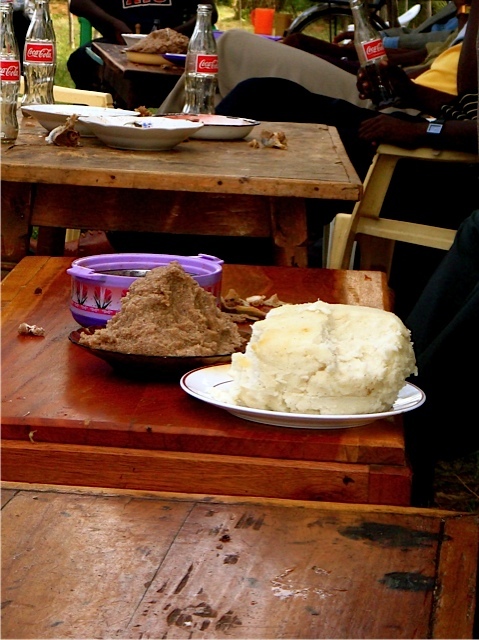 After the funeral, we sat down at the feasting table and shared a plate of ugali with the people of the village. Children hid behind trees and rocks, staring and smiling at us. 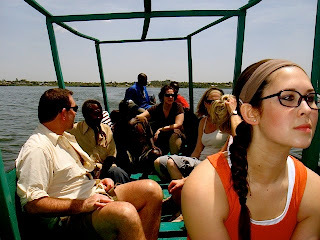 The next day, we took a small fishing boat to visit a village on the other side of the lake. 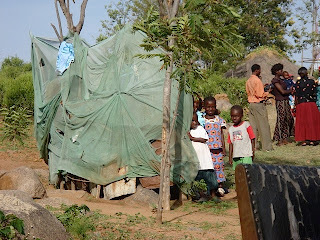 Despite the very poor living conditions, the villagers flocked over to greet us and show us around. A little girl took my hand as we were shown inside the huts of several of the village people who proudly showed off their pots and pans. 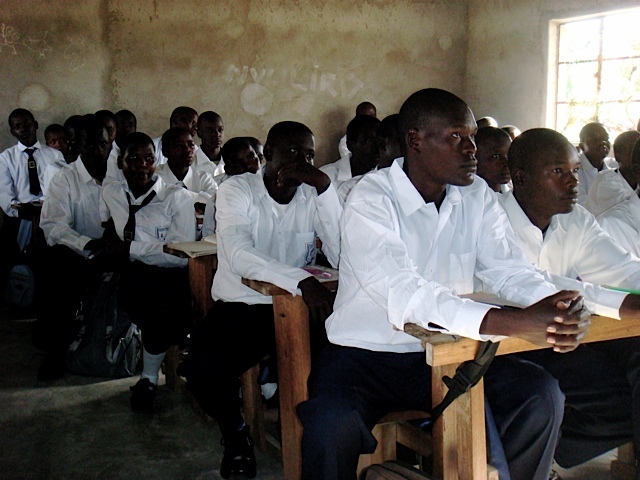 Later that week, we traveled to the only school in Muhuru Bay to teach a lesson about dental hygiene. Because the people in Muhuru Bay brush their teeth with tree bark, standard dental care was foreign knowledge. We passed out toothbrushes, toothpaste, and floss and showed them how to properly clean their teeth with a toothbrush. A few days before the end of our trip, we heard about two girls who had fled Tanzania with their father to live in Muhuru Bay. 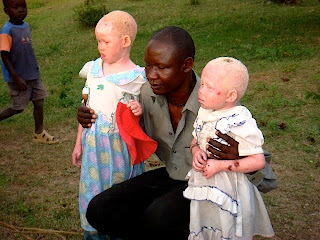 The two girls we met had albinism and were forced to escape from their home because witch doctors were hunting them for their arms and legs. In Tanzania, it is a widespread belief that albino limbs have magical healing powers. The two little girls, ages 3 and 5, were scabbing all over their bodies due to terrible sunburns. We drove out to meet them and brought hats, sunscreen, and two goats for their family. 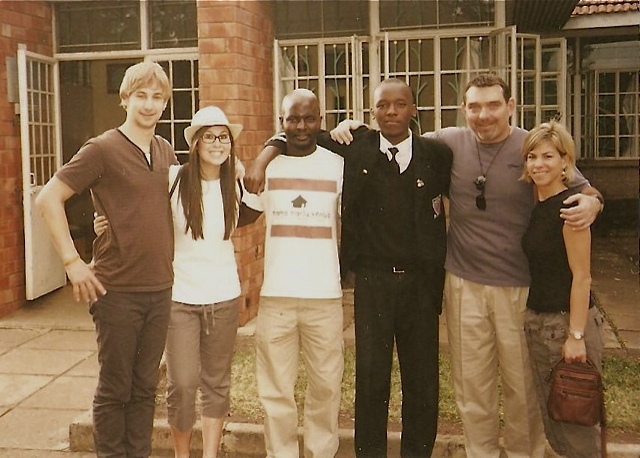 Although my first trip to Kenya wasn’t glamorous, it was extremely eye-opening and has changed me in so many ways. Witnessing a different culture, getting out of my comfort zone, volunteering, and giving to others made for a trip I’ll never forget. If you ever have the opportunity to travel to the African Bush, I would highly recommend it. 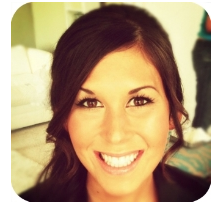 I assure you, you will walk out of the experience a different person.